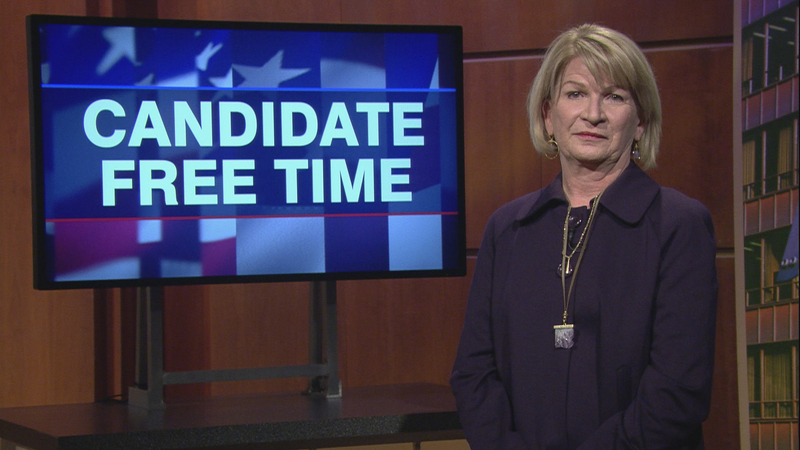 Video: Darlene Senger tells voters about her platform. Learn more about Candidate Free Time. As the chief financial officer for the state, the comptroller must serve as a watchdog and strong voice on fiscal issues facing the entire state of Illinois. Throughout my career, I have placed a strong emphasis on core business and civic values: proactive and responsive customer/constituent service, transparency at all levels and most importantly, honesty. It is my vision to bring that same approach to the management of the comptroller’s office to benefit all constituents. It is crucial that we establish a distinguished constituent service department that interacts with the groups most impacted by the state’s fiscal mismanagement. Because of our ever-growing backlog and delayed payment cycle, we are hurting small businesses, social services and other community organizations. As a state, we need to do a better job of working with and supporting our local communities. Unfortunately, this necessity is currently being overshadowed by machine politics, largely disregarding many of the needs of residents. If elected, I will work tirelessly to change this and serve on behalf of the interests of all constituents. For example, the comptroller’s office compiles all local government reports throughout the state of Illinois. As a clearinghouse for this local government information, there is an opportunity to provide more relevant information to residents so they are better able to understand their state and local finances. If elected, I will publish a report card to track the local governments’ financial status so constituents can see how their town is managing taxpayer dollars through a user-friendly portal. This proactive improvement would provide information to residents and localities on the health of their administrations and hopefully identify situations such as those that befell University Park and Harvey. I also believe the office has a responsibility to be honest with the public as it relates to the budget-making process. With the information and analysis that is readily available within the office, it is my vision to serve as a sounding board for many of the fiscal decisions the governor and Illinois General Assembly enact. I will work with the governor regardless of his party to craft a February budget and I will avail myself to the Illinois General Assembly members in appropriation meetings. Lastly, the comptroller’s office manages millions of warrants each year. Considering this is one of the largest responsibilities of the comptroller, I believe it is critical to look within the office budget and identify a path towards using a financial arbitrator who will oversee the payment cycle. This will give taxpayers a greater assurance, that politics isn’t coming into play for the state’s CFO. Constituents face numerous challenges because of the fiscal mismanagement of Illinois and the state’s debt is currently the most pressing issue. The $8 billion bill backlog number does not include actual pension liability or bonding debt which greatly increase Illinois’ overall debt. Because of this, we must be more efficient with how the Comptroller pays bills. The public needs to know that politics isn’t determining which bills are being paid and when. Using a financial arbitrator (discussed above) can help restore this confidence. Reducing the prompt payment costs and providing greater transparency to the bill payment process, will better incorporate best practices to reduce bill backlogs. As one effort to improve fiscal management, the issue of consolidating the treasurer and comptroller offices must be addressed. This could save residents of Illinois roughly $12 million. Most importantly, this issue should be the voters’ to decide. Many government officials have supported this, including the entire 2012 Illinois Senate, Judy Baar Topinka and Dan Rutherford. It is time to revisit this issue and finally put the power in the hands of voters. Another change that can improve payment of unpaid bills is the continued passage of balanced budgets. This is a necessity that will gradually move our state in the right direction. The inability to pay our bills was an issue during the budget impasse. And the unpaid bills were a result of the general assembly’s failure to pass a budget for the governor to sign. Lastly, in addition to the bill backlog number currently highlighted by the comptroller’s office, I will show and address the actual pension liability that is greatly increasing Illinois’ overall debt. Acknowledging the true pension liability on the comptroller website is crucial to informing residents about the extent of this problem. Hello. I am Darlene Senger and I am the Republican candidate for IL Comptroller. What is the role a Comptroller? It is just a fancy term for the state’s CFO. The Comptroller pays the bills and manages the accounts. Just as you manage your household finances, it’s the Comptroller’s job to do this for the state. I am running for this office because I have the most experience for the job. I have an MBA from DePaul, I worked as a director for a bank in their Trust Department, a pension consultant, and investment advisor, and the CFO for a state agency. I also understand municipal and state government because I served on the Naperville City Council and then as an IL State Representative. I will advocate to combine the Treasurer and Comptroller offices and place a Constitutional amendment on the ballot, giving voters the right to decide. This will save millions of dollars and improve efficiencies. The Comptroller’s office manages millions of invoices each year; we need to be more transparent in the bill payment process. I recommend an independent, third party to oversee this process. Taxpayers can be assured that politics isn’t coming into play for the CFO. I will advocate for a Constitutional Amendment that would allow some financial flexibility on our pension debt. The Comptroller’s office continues to face a mountain of debt each day. The daily number doesn’t even include our actual pension liability or our bonding debt which greatly increases IL’s overall debt. As Comptroller, I will communicate this aggregate tax burden to the stakeholders ‐ our residents. Once the problem is fully identified, more serious efforts can be made to address this issue. In closing, my biggest accomplishment is raising 2 children, both educated at the University of Illinois. They live and work in Illinois and I’d like to keep them here as well as ALL families who are considering that a move out of Illinois might be in their best financial interest. I’ve spent my political career working to keep taxes low and trying to reform Illinois’ pension crisis. Now I will use that experience in the Comptroller’s office to shine a brighter light on the fiscal problems burdening our great state. I ask for your vote for Illinois Comptroller in November.